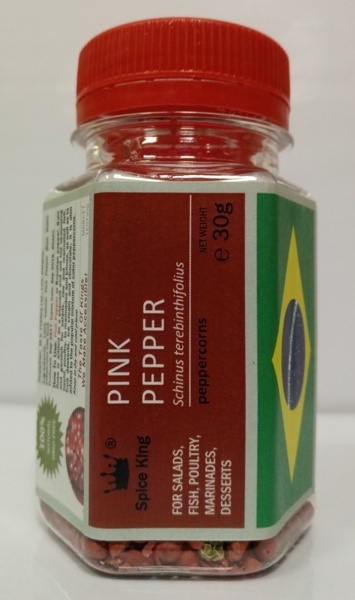 Ingredients: 100% natural Pink Pepper (whole berries). 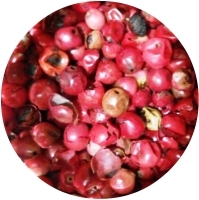 How To Use: Pink Pepper or Brazilian pepper, Baie Rose is added as a piquant and not hot seasoning and garnish for salads, raw and marinated fish, squid, poultry, to marinades and brines, as well as to fruit desserts, ice cream and chocolate; it is also added to the popular mixture of color peppercorns. 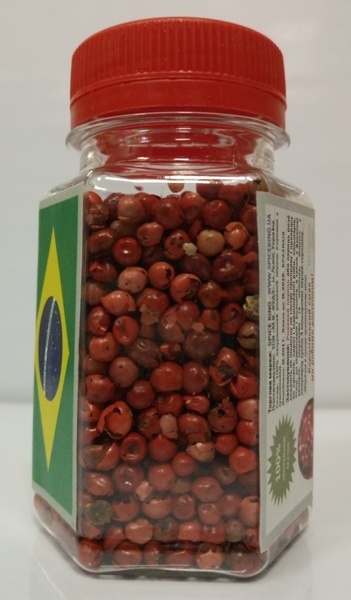 30 g net weight (100ml PET jar) - USD 2.00 (USD 66.67/kg).